Heinrich Laufenberg lived and worked between c.1390 and 1460 in the Swiss canton of Argovia, southern Germany and Alsace. He was the author of a vast body of works, comprising spiritual hymns, didactic epics and religious prose. A manuscript housed in the Strasbourg Library, which took up the major part of his work, was completely destroyed in a fire in 1870. Happily, a copy had been made of it, so part of his oeuvre was able to be passed on to posterity. 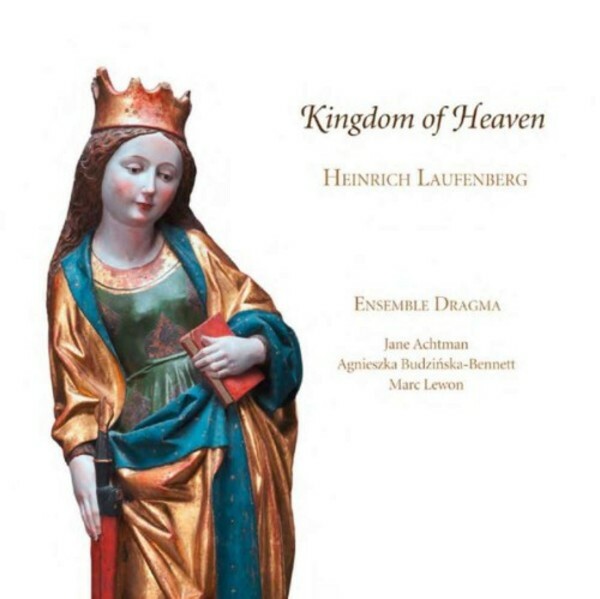 The surviving songs of Heinrich Laufenberg are of great beauty, in terms of both music and content: in one of them, he praises Mary in a thoroughly poetic way; in a lullaby, he asks Jesus� protection for the sleeping infant; in yet another, he describes for us the kingdom of heaven in detail and in all its richness. This programme, entitled 'Royaume des cieux', offers us the joy of hearing songs that had remained silent since the 15th century. Between Laufenberg�s lyrical and narrative songs are inserted instrumental pieces from the period. Thus, in an enthusiastic, authentic way, the Ensemble Dragma gives life to the music of the late Middle Ages, in a glittering kaleidoscope. Three highly-regarded musicians are at the heart of Ensemble Dragma: Agnieszka Budzińska-Bennett, Jane Achtman and Marc Lewon. Their flexible configuration (two voices, vielle, lute and harp) allows them to bring the repertoire of the high and late Middle Ages to life, in all its colour and variety, for contemporary audiences. Established in 2012, the group soon embarked on a tour of Germany, France and Switzerland with a programme entitled 'The Kingdom of Heaven'. This is Ensemble Dragma�s first CD.